In To Kill a Mockingbird, Atticus explains to Scout that “You never really understand a person until you consider things from his point of view…until you climb into his skin and walk around in it” (36). Make this advice more literal. Imagine spending a day in someone else’s shoes in this writing activity. 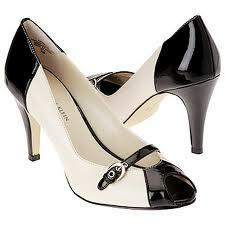 First, examine a variety of shoes and envision what the owner would look like, such as their appearance, actions, etc. If possible, trade shoes with someone and spend the rest of the day walking in them. How did it make you feel about that person? Then write a narrative, telling the story of a day in the shoe owner’s life. Put this story on your blog with a picture and call it the same title as this page. We will share our shoe stories soon.